we simply could not have done it without you ! First of all let me thank you guy's so much for your kind and efficient service . As you know our visit in April was in fact our third visit to the Costa Del Sol area over the past three years house hunting for our retirement family holiday home. Previously we struggled through individual house selling property agents – and then thankfully we found Nelson Estates problem solved !! Our thoughts and requirements and budget were not problem for Nelson Estates and we commenced our Villa Hunt Journey At no cost directly to ourselves viewing appointments were made and the journey commenced ! – Within three days we were delighted to find the villa which ticked all our boxes – job done ! I am also glad to say that as we all know Business is Business but we were delighted that at no time was pressure inflicted on us to purchase – we all worked to a mutual completion, the eventual decision was ours ,and our ideal villa was purchased ! Your after sales service is excellent , no matter what we have requested, Nelson Estates has been there to help – it is simply that little extra which makes dealing with yourselves such a pleasure . We take this opportunity in thanking you for finding our villa , ( we simply could not have done it without you ! ) and we will be delighted to recommend Nelson Estates by e mail or verbally to any of your future clients – We look forward to hearing and perhaps seeing you guy's again in the not too distant future . Special thanks to Susanne who looked after us. We would like to thank you for the wonderful service you have provided for us. You have made it possible for us to realise our dream of owning a villa in Spain. Your comprehensive service, from selecting ideal properties to arranging interviews with banks, lawyers etc and advice on all aspects of purchasing properties in Spain, is second to none. We could not have done it without you! We were delighted with your help and assistance with our recent purchase in Marbella. After having a property in Majorca and more recently a villa in mainland Spain our criteria was very specific i.e type on villa, proximity to town,views etc. You took all this on board and we viewed many properties. We eventually found the ideal villa and the purchase was made pain free with your help. We are very grateful for ongoing help and advice provided since our completion and would have no hesitation in recommending your services to anyone considering a purchase in Spain. I couldn’t recommend Nelson Estates any higher! From start to finish Nelson Estates were first class. You couldn’t wish for a better company to advise you on buying property in Spain than Nelson Estates. The service they provide is unique, from finding potential properties that meet your criteria, to spending a couple of days showing you the area and the properties they found. As Nelson Estates are also connected to many other estate agents in the area and are working on behalf of you- the buyer, they are able to offer an objective view to the properties they show you. I found that they made every effort to find us the property we really wanted, rather than trying to sell us any old property, and I thank them for that. The whole process, which was initially daunting, went as smooth as clockwork. Brian recommended the Solicitors who were first class and provided us with a wealth of valuable information going forward. As a result, I couldn’t recommend Nelson Estates any higher and If I buy another property on the Costa del Sol, I know who I will be using to find it! We cannot thank Nelson Estates enough! My wife Sarah and I had been looking in various parts of Spain for a property for several years and quickly became aware that any one property may be advertised with many different estate agents but worse still at a variety of different prices. Also places that looked good when advertised were not always what they seemed. We decided that the agent we would use should have in-depth local knowledge of the area we were interested in and would also advise us on the complete buying process. Thankfully we contacted Susanne from Nelson Estates . They showed very quickly that they had our best interests at heart and through the network of contacts Nelson Estates had started to show us a variety of properties that they felt were what we were looking for.She listened to us when we modified our ideas after a couple of early viewings and over a few days showed us only villas (in our case) that matched our requests. We soon found the villa of our dreams and subsequently purchased. What we did in 3 days could well have taken several months without the help of this charming person. She found our perfect property, supported us through the legal process and settling in, guiding us through residency issues, medical contacts, names of local trades people and so on. All this at no cost to us. We cannot thank Nelson Estates enough, it has made our move to Spain an exciting but enjoyable experience. You are still helping us out and we appreciate everything. Thank you so much for your help in purchasing our lovely Spanish villa. Brian's initial help in finding out exactly what we wanted and then forwarding suitable property details was a life-line in a mine field. Her advice on different areas was very useful and everything was done so quickly. He arranged all the viewings which was a new experience for us as we had always done this ourselves in the past which was never easy. We would have wasted a lot of time looking at unsuitable properties in the wrong areas without Brian's help. When we arrived in Spain it was so good to have T jay driving us to the villas we had chosen to view and showing us the different areas. Not having to navigate ourselves, we were able to relax and take everything in. When we decided to buy the villa Brian made it so easy by visiting the Bank and Solicitors for us and advising how to obtain NIE numbers. We were also grateful to be taken to the Notary’s Office on the final day of completion. You are still helping us out and we appreciate everything. We are very grateful for all your help and after-sales service. We would like to thank you for your fabulous work in helping us to find our dream villa. Although we had a lot of requirements, you succeeded in finding exactly what we wanted. Before we started looking for a property in Spain, we were warned that it was a tough market, with a lot of less reliable players. After some disappointing experiences, we made contact with Nelson Estates . We are very grateful for all your help and after-sales service. Thank you for finding our new home it’s everything we wanted. Thank you for finding our new home it’s everything we wanted. The service you gave us was second to none! As you know we had been looking at property with other agents before and have viewed many, even the ones that did not fit our criteria! – consequently wasting our time. The fact that you cover the whole of the Costa del Sol and also deal with other estate agents gave us a lot of confidence, we realise now just how good your sorting procedure is and without you we would have never found our little haven. Just wanted to send you an email for looking after me so well and finding me my property in Marbella. It seemed a scary prospect at the time buying somewhere abroad, but with your help,advice and great contacts you made it a dream come true. I may be single, but I felt I was not buying on my own because of your support and care in finding the right place for me. Buying in Spain with your friendly but professional advice and your legal contacts made it easier than when I bought my last house in the UK! So, thanks again and good luck for the future. You came up trumps and I will recommended your company to anyone interested in buying on the Costa del Sol. I love my new Spanish home- it was just what I imagined and asked you to find for me, thanks again. Muchas gracias!!!!!!!!! Nelson Estates were a breath of fresh air when it came to buying in Spain they were a blessing, they handled everything from organising our flights, accommodation and Lawyers. The office staff were pleasant and professional and I recommend anyone to use their services. We could not have done it without your passionate input. Thanks again. I don’t really know how to start writing a testimonial for how you guys helped us find our ideal property. All I can say is that you are more than just normal estate agents as you covered every aspect we needed to know in buying a home something we have never found before anywhere in the world. You made it a pleasure rather than a nerve racking adventure. Brian's building experience and extensive knowledge of the area helped us sift through hundreds of properties in just 3 days from when we started searching for that ideal home. We could not have done it without your passionate input. Thanks again. Good luck in the future. If you are ever in the area give us a call. Sorry it has taken a while to let you know how things are going. We are now well settled in in our new Spanish home, the location is perfect and the property just the right size. I always say you get what you pay for in this world. 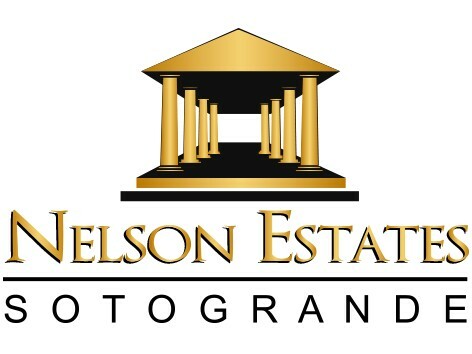 I would like to thank Nelson Estates for your help in finding the right property. This saved a great deal of time as you only recommended suitable properties and we did not waste time looking at rubbish. I would recommend your company to anyone looking for property in your area. Brian was great in helping and transporting us around every day. Good luck in the future. If you are ever in the area give us a call. By the way the furniture is now of a much better standard. Thank you. We recently purchased a bank repossession in marbella, we went for an inspection trip and viewed seven properties. The whole process was very simple and we were able to purchase a property we didn't think we were able to afford as we were able to get a 93% mortgage. Cannot recommend them highly enough. They do exactly what they say on the tin, your experts in Spanish real estate. Our thanks and best wishes to Nelson Estates for the future and we shall have no hesitation in spreading the word. We would like to express our appreciation of the care and attention you provided during our recent property search. As you know we were not new to the game but have to congratulate you on the professional manner and thoroughness of you service right from the web site which is very attractive through the various processes which was much better than our previous experiences. Having found the ideal property it was soon clear that this was never going to be a straight forward deal but a little ingenuity and a lot of negotiation and perseverance achieved a most satisfactory result which we shall now enjoy for many years to come. Our thanks and best wishes to Nelson Estates for the future and we shall have no hesitation in spreading the word. I was drawn to 'Nelson Estates' on the basis of the excellent rates. Personally I didn't feel any need to visit an estate agent, and thus didn't think a potential buyer would feel the need either, this proved to be correct as we had an agreement in place within 4 weeks of it being listed. Some of my viewers mentioned they found the agent very helpful, and we were very pleased with the communication and professionalism shown, we also opted for a sale sign and were happy with this also. Have already recommended to friends who have in turn also used Nelson Estates. Thank you so much for all your help and advice. We couldn’t have done it without you. We never really thought we would find our dream home or, if we did, be able to afford it. Thanks for working so hard on our behalf. You have saved us time and money but also made the journey that much more enjoyable. I hope we can stay in touch and get together again in the near future. We will e-mail you when we plan to come out next. ps. We are now renovating the property as we would like air-conditioning for this summer.